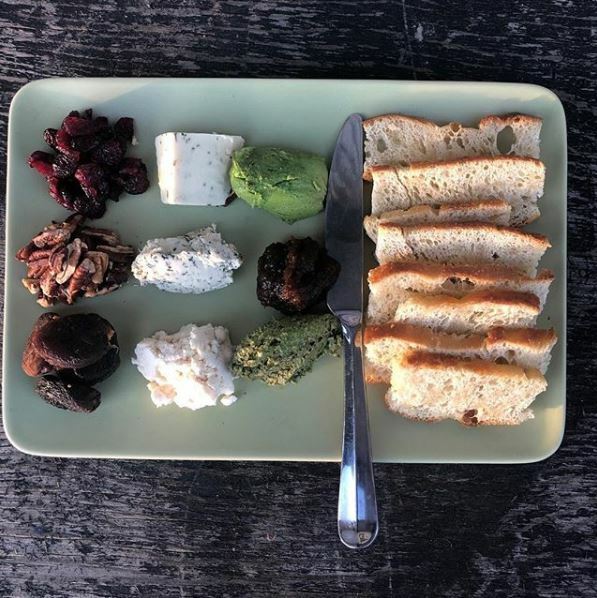 Something of a vegan pioneer in the PNW, The Green Moustache is Whistler’s only 100% vegan café. 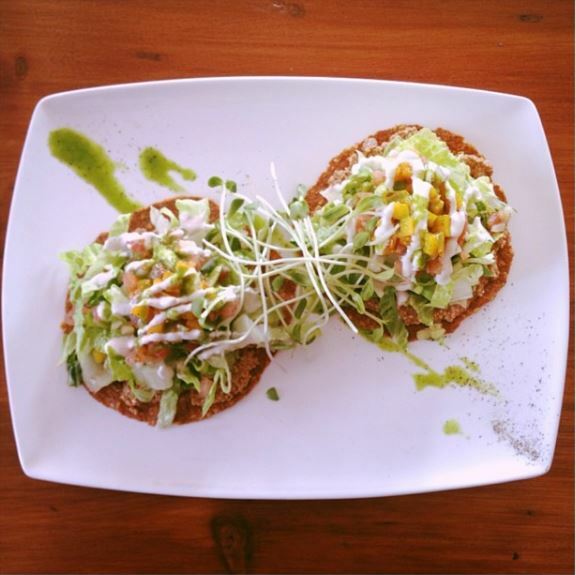 The menu is wide and varied with a focus on the healing powers of real, natural ingredients. Green Mo’ founder, Nicolette Richer, is a force to be reckoned with in the world of disease prevention. She’s a specialist in Gerson Therapy™, which is a natural treatment that activates the body’s extraordinary ability to heal itself through an organic, plant-based diet. We recommend The Green Moustache as the perfect supplement to your health & wellness goals. Find them in Whistler Village or Function Junction. Our favourite dish: We love the Superfood Salad. It’s seasonal, fresh and PACKED with nutrients – just eating it makes us feel like a superhuman. Try their “Liquid Gold” dressing. To say it’s addictive is an understatement. Executive Chef James Olberg brings vegan dining to the forefront of Whistler’s restaurant scene with Meatless Mondays at Aura. Located in Whistler Creekside, Aura serves up 3 vegan courses for $39 every Monday evening. Available year-round, dine lakeside on the beautiful patio in the summer, or get up close to the action with seats at the open kitchen. Produce is locally-sourced and full of flavour served with a modern, innovative twist. Make a night of it by asking about wine pairings for only $29 more. Our favourite dish: It has to be the Roasted Cauliflower with Indian Spices. We love the tang of the oven-dried tomatoes and the crunch of the crushed cashews. This Palak curry is also gluten-free! Finish off with the Spiced ‘Ice Cream’ Sundae for the ultimate vegan dining experience. Opened in Summer 2018, The Velvet Underground has quickly established itself as a firm favourite among Whistler locals. Their mission in life is to bring to their customers “…a mecca of everything they love into one trendy space”. Their café is no exception. 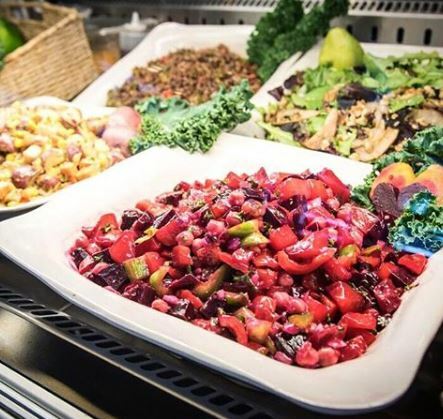 They offer a range of vegan options, “Sangas” (sandwiches) and soups, to smoothies, frappés and desserts. They also stock Black Sheep vegan cheese, which is available on their amazing Cheeze Platter! Our favourite dish: We can’t get enough of their Berried Alive smoothie. The mix of fresh berries, chia and dates gives this amazing drink a refreshing zest while the oats and almond butter satisfy our grumbly bellies. A perfect companion for a drive to Van. 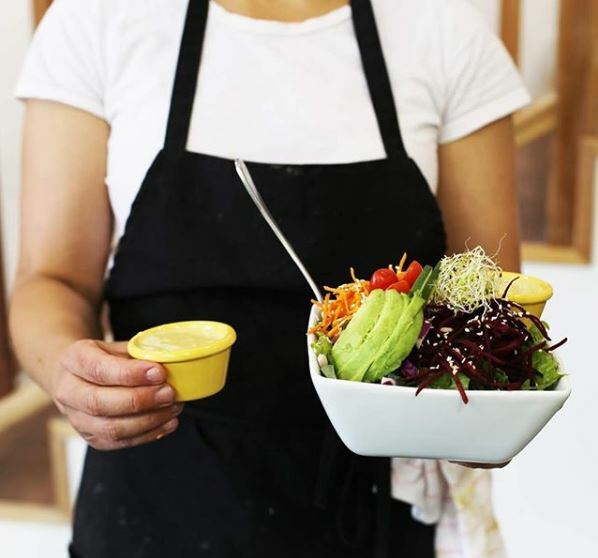 Starting life as an organic juice bar back in 2013, The Naked Sprout has bloomed into a wonderful, little lunch spot on the Village Stroll. They support local and have a commitment to green initiatives. They even donate their organic pulp waste to Dooshi, who create delicious treats for your pet! The menu is wide & varied with something on it for everyone. We particularly love their Elixir Shots – perfect if you’re feeling a little worse for wear. Our favourite dish: It has to be the Ramen Bowl. Packed with nutritional value and prepared with gluten-free noodles. Just ask them to swap out the egg for avocado and you have an amazing vegan lunch. 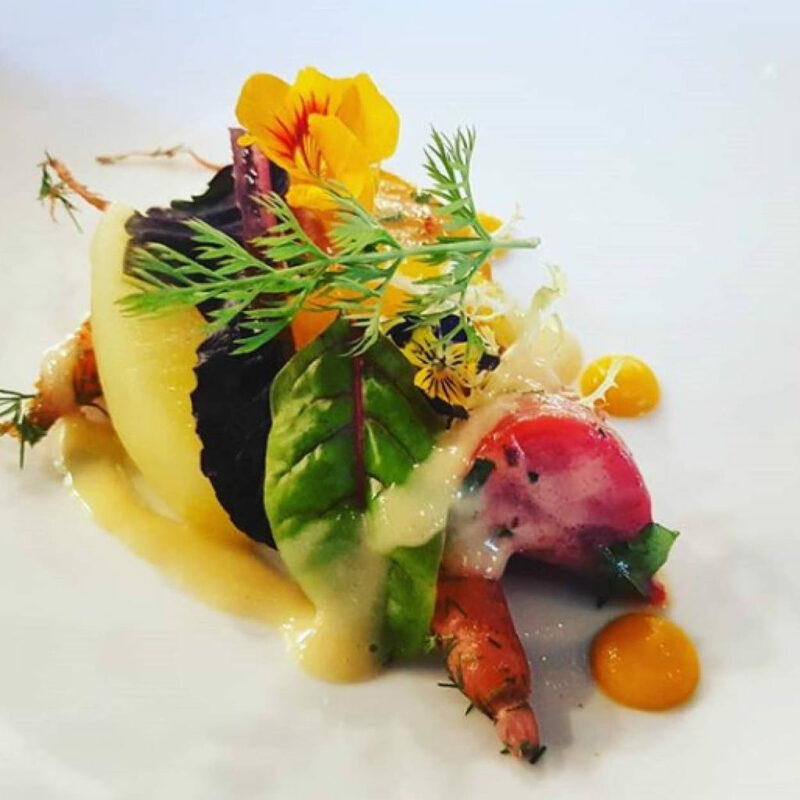 Whistler Blackcomb’s first ever all vegetarian restaurant, Raven’s Nest is touted as one of the first of its kind at ski resorts in North America. You’ll find it tucked away at the base of Red Chair on Whistler Mountain. VeganTravel.com writes: ‘With a variety of menu items from a Korean “beef” kim chi sandwich to a “chicken” pita pocket with apple walnut slaw, there is tasty food for all.’ Add to that the cozy cabin vibe and stunning views, and you’ll fall in love with all that Raven’s Nest has to offer. Our favourite dish: We love nothing more than a morning of skiing followed by the Jackfruit Pulled “Pork” at Raven’s Nest. Wash it down with an Almond Mocha and you’re good to go! Looking for great coffee in Whistler? Check out our post: 5 Whistler Coffee Shops You Need To Try. Feature image PC: Tourism Whistler/Mike Crane.